There are two labels for each pattern piece. Each label holds different information. In Detail mode right click on a workpiece to open it’s Options dialog. a.) 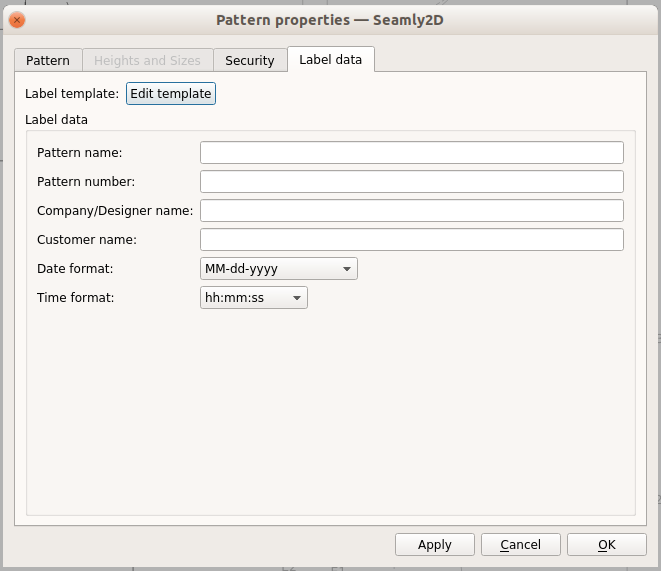 Under the Piece Label Data tab, you can enter the information which applies only to that individual pattern piece. b.) Under the Labels tab, you can enter where the Pattern label and Pattern Piece label will be placed on that workpiece.